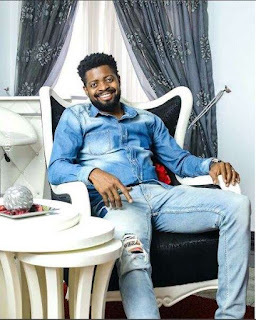 Stand-up comedian, Basketmouth, has opened up on the downside of being a popular figure, as he stated that it has deprived him of a normal life. He mentioned in a publication by Punch Newspaper released on Saturday, September 24, 2016, though it is a fate he has no major problem with. “I have been robbed of my privacy and the freedom I had. The fact that I must be very careful with everything I say and do is a bit of a pressure." "However, I wouldn’t trade the journey for anything. I won’t change a thing." The comedian is quite thankful of the opportunity to have a successful career, which he has attributed to the influence of God. “I feel blessed because I know that the life we have can be taken for granted sometimes." "I always thank God for every second, minute, hour, day, month and year I witness." "Turning 38 is amazing and I pray that God will continue to bless me with more years in great health, happiness, favour and more." "I thank God for everything especially when I look back to where I am coming from, it is really humbling where God has placed me and where he is taking me to. I am grateful for everything." The comedian is fresh off a recent robbery incident at his apartment in Lagos, which has left his family and friends quite devastated.